I am one of 14 MSW students who were accepted to a new section of the North Carolina State University MSW program advanced research course (Advanced Research and Program Evaluation). Our Department has partnered with Stop Hunger Now (SHN) to help build their capacity for monitoring and evaluating their Food Distribution Program. For our first semester, Fall 2013, our class spent considerable time researching global hunger, international aid organizations, and Stop Hunger Now. We also spent a lot of time learning about program monitoring and evaluation. Last semester we also created the documents (interview questionnaires for stakeholders on many levels, a training manual for SHN, and logic models for several aspects of SHN’s work – e.g. food distribution). At the start of the Spring 2014 semester, we made final edits to all of our materials based on feedback from SHN staff. Twelve students from the class, our professor Dr. Marcie Fisher-Borne, and three SHN staff members spent eight days in the Dominican Republic conducting interviews and collecting other types of qualitative research in the field. 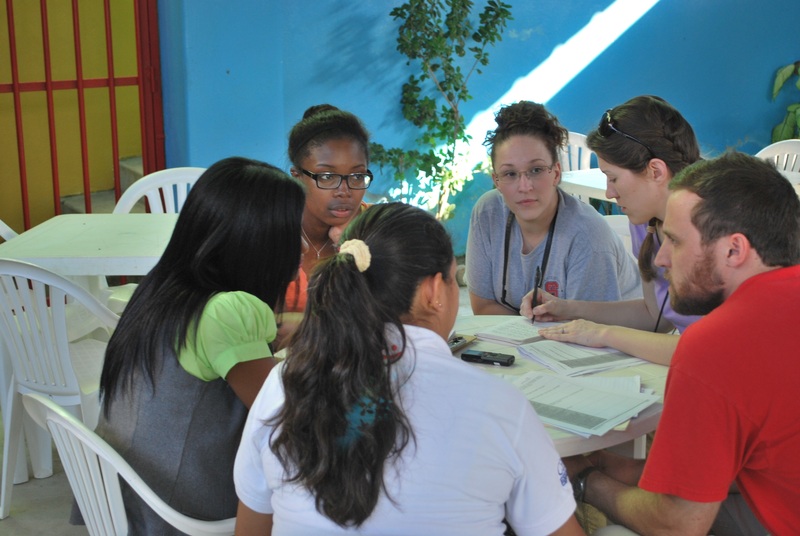 Stop Hunger Now’s lead in-country partner is Citihope International – Dominican Republic chapter. We partnered with with the Executive Director and several staff members to conduct site visits at different organizations Citihope distributes SHN meals to. We visited eight organizations located across the Dominican Republic (DR) – all were surrounded by the most severe poverty in the country. Some places were schools for students with various disabilities as well as traditional students. Other organizations included an orphanage, the largest hospital in the DR, rural medical clinics, and general feeding programs. We had the privilege of speaking with leaders of these organizations, the families and children, and community members – this was a very powerful experience. When these people who have so little greet you with a warm smile and invite you into their homes it is a humbling experience and one that fills your heart with hope because they are such warm souls. Their homes have dirt floors, many without running water or indoor bathrooms. They often eat only one meal a day, almost always this is the Stop Hunger Now meals the local organizations provide. 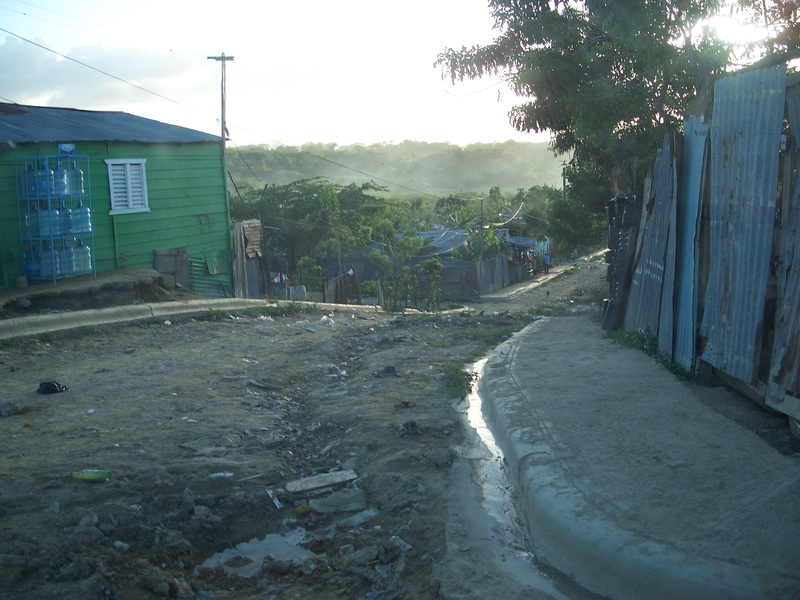 One of the site visits which made a lasting impression on my classmates, and everyone with us, was a school that is located in a community that sits next to the largest landfill/dump in the Dominican Republic. From miles away you can see the methane rising from the trash and what looked like mountains from a distance quickly reveal they are actually mountains of waste and hazardous materials that breed sickness and death. This alone was something to witness firsthand. When we learned that the children in this community are called “Scuba Kids” we were horrified to know why. These children, as little as three years old, cover their faces in old cloth to “filter” the toxic air before they go into the dump to “scuba dive” for items in the trash they can reuse or sell for a source of income for their families. This was an incredible thing to see with my own eyes – a community whose main source of survival is off of the waste of others. That being said, we were able to visit the school where some of the community’s children attend. 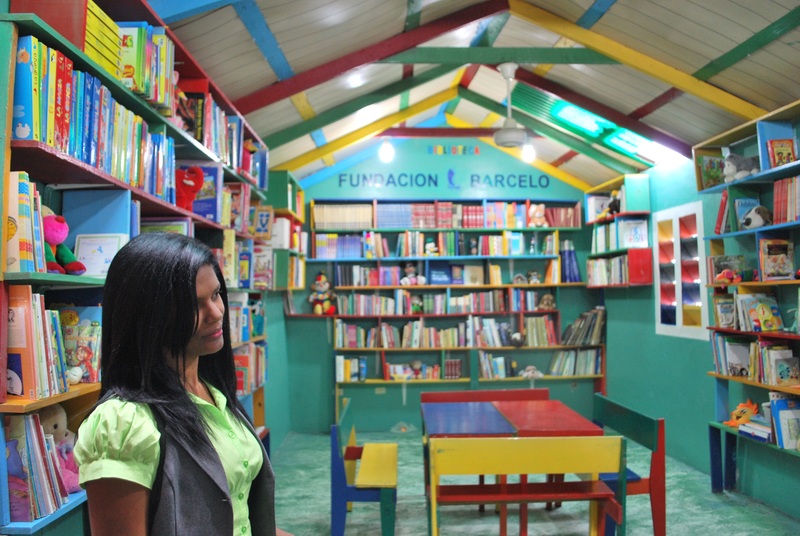 The school is brightly colored and filled with children learning how to speak multiple languages and some of them even compete, and place, in international chess competitions! We learned that, while this community is extremely violent, the school is not vandalized or broken into. The people of the community value the school so much, and the parents want their children to go there, the school is considered “off limits” for violent acts. All of our group left this school and community forever changed by our time there. Immediately upon our arrival back to the US, our class divided the recorded interviews and transcribed the audio. Our full evaluation report will be presented to two groups from Stop Hunger Now – the Board of Directors and the Leadership Team (e.g. Executive Director, Distribution Coordinator, and Program Directors). We will present our findings from the research, our training materials, and make our recommendations so Stop Hunger Now can build their capacity for program monitoring and evaluation as their organization continues to grow. I have never traveled outside of the U.S. before so that alone was an experience but seeing poverty on such a massive scale is something I am grateful for. This will make me a better person, mother, and social worker. We take our research, experiences, and photos with us to continue the work we do to improve our world and fuel the fire we have to fight for the oppressed and marginalized. Before starting this course I had absolutely zero knowledge about global hunger, international social work, or much about how to conduct program monitoring and evaluation research for an organization. After learning from such an amazing professor, Dr. Marcie Fisher-Borne, and learning with incredible student colleagues, I now feel well-equipped to begin my professional career as competent through the work we have accomplished in this course. 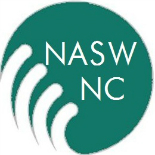 This entry was posted on March 18, 2014 by naswnc in Membership and tagged Advocacy, BSW, hunger, international social work, LCSW, leadership, MSW, NASW, National Association of Social Workers, poverty, social work, social workers.